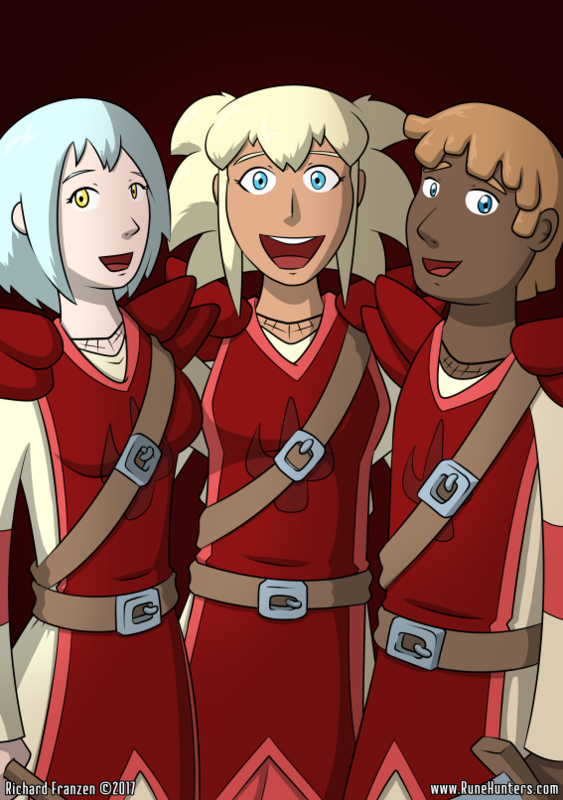 I decided to do a followup picture to the one I did of Asura’s group, this time featuring Ada’s squadmates from her time in the Ahkellan military. I wonder whatever happened to Reil and Ellith, it’s been awhile since we’ve seen them. They are… off to find a grandmaster fire rune. The king felt like it was a good time to upgrade, with the old one missing! Hopefully the comic doesn’t have DBZ/Star Wars syndrome yet, where there’s always a bigger, badder super weapon. Those uniforms are really cool. Thanks. I don’t usually put Ada and her teammates in the imperial tabards. They usually get more casual work attire.